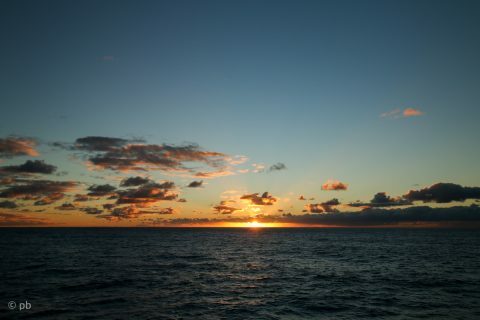 Not quite yet but the end of the expedition (EoX in IODP language) is in sight. We are now in our eighth week of the expedition and thus all of us are looking forward to get back on land and even more to get back home to our families and friends (not that we wouldn’t have made new ones on this boat). Slowly, also our supplies are running out, most fruits are gone and only some melons and green apples are left. But hey, we are still drilling. Currently we give the turbine-driven coring system (TDCS) another go and keep poking the top of Brothers. Already so far, it has been a really successful expedition and we are looking forward to continue our studies on shore. A few days of really bad weather are also behind us with wind gusts up to 50 kts or Beaufort 10, which is equivalent to storm-force. 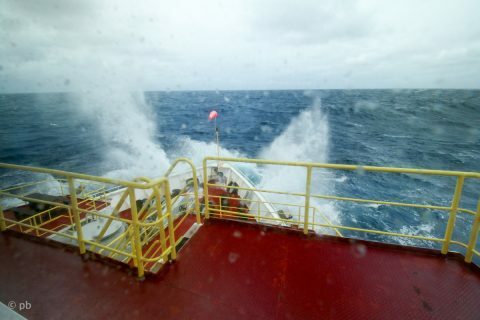 The sea was once more building up to more than 6 meter waves but it looks now like we have a nice stretch of weather ahead for the rest of the expedition. 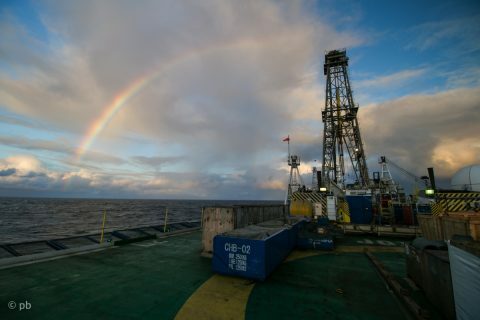 This entry was posted in deep sea, plate tectonics and tagged Exp376, IODP.